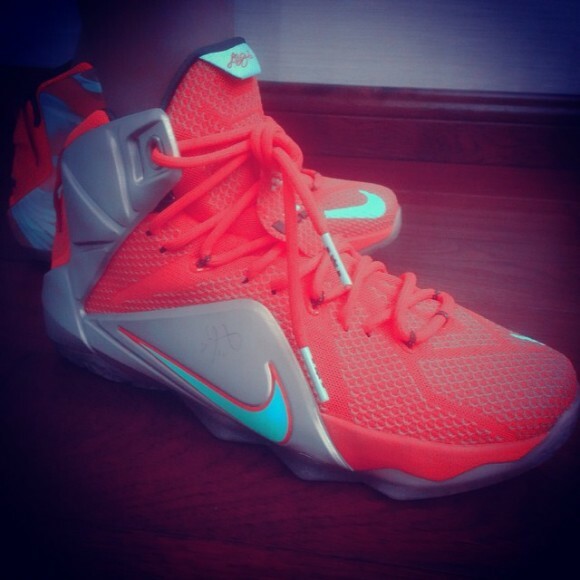 We’ve seen a slew of Nike LeBron 12s in recent weeks, and now we get a look at the Liverpool-like colorway seen below. While there isn’t a story associated with this particular colorway yet, you can see traces of mint, silver and crimson red on the sneaker. The outsole is transparent blue, and there appears to be a tie-dye-like pattern on the medial side near the collar area. Stay with WearTesters.com for the latest Nike LeBron 12 news, including a performance review. Let us know your thoughts on this colorway in the comments below.